Samella Lewis is a prominent figure within the Southern California art community. The first black woman to earn a joint PhD in art history and studio art (1951), she has made monumental scholarly contributions to the field, founding galleries, a museum, and the journal Black Art and writing books on the subject of African American artists. She also taught for many years at Scripps College. Lewis's art has been documented much less than her work as an art historian and curator. Now Dig This! features several of her works. 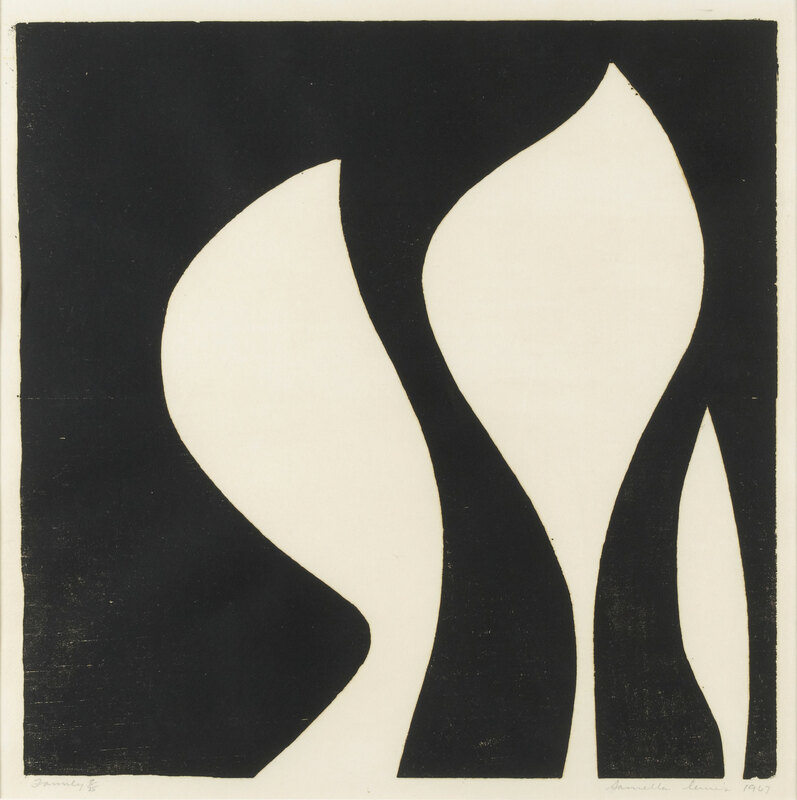 Family, an abstract composition, shows three shapely vertical forms that resemble plant leaves sprouting from the earth. By using only two colors, black and white, Lewis underscores the graceful forms and bold outlines of the shapes. "Family." Now Dig This! Art in Black Los Angeles, 1960–1980 Digital Archive. Los Angeles: Hammer Museum, 2016. https://hammer.ucla.edu/now-dig-this/art/family.